Madang is a province of diverse cultures as it is home to people from all parts of Papua New Guinea. Several years back, Madang was the pearl of the Pacific, a hot tourism destination that attracts tourists from all over the world to visit. Since German missionaries establish the Catholic and Lutheran Churches in Madang in the late 1800s, soccer was also introduced to the natives who attended missionary teachings at that time. Like any other cultures, Madang people have their ancestral beliefs and were much more reluctant to their traditional cultures than to the introduced Western cultures. Soccer skills were passed on down by their forefathers and soon became an integral part of social activities among young men in the community. It brought villages, clans and tribes together and became a major unifying factor in the province. Madang together with neighboring provinces, Morobe and the Sepiks are soccer loving people. A soccer game can forge strong friendship and built brotherhood and family ties among people from all walks of life. Today Madang is on the brink of losing reputable beauty. Pothole-ridden roads and lawlessness have shaded the positivism in Madang people and countless criticisms were made on it’s administration. Critics have blamed the law and order breakdown on it’s political will, but no one considered taking up the challenge to make Madang great again. While writing this, I am unfazed about the huge turnout of people (including drunkards) and the excitement every time I am in Madang to cover soccer whether it be in the National Soccer League or the Besta FA cup. Soccer is indeed in the heart of every resident in Madang. 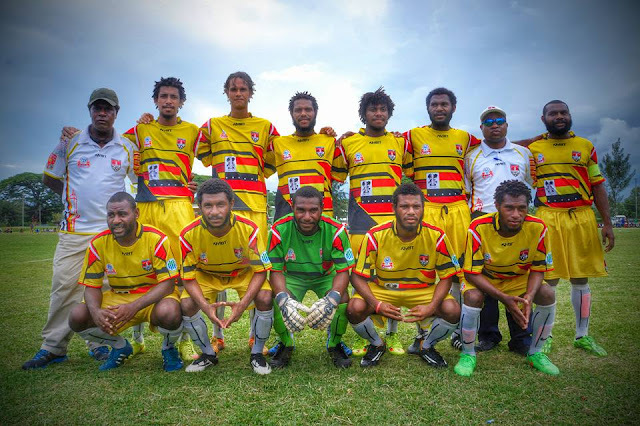 When Madang defeated Hekari United in 2015 at Laiwaden, they made history becoming the first local team to have defeated the nine times NSL Champions. That same Madang and Momase brothers Lae City Dwellers created history by appearing in the Grand final in their maiden year (for LCD) and short football history. 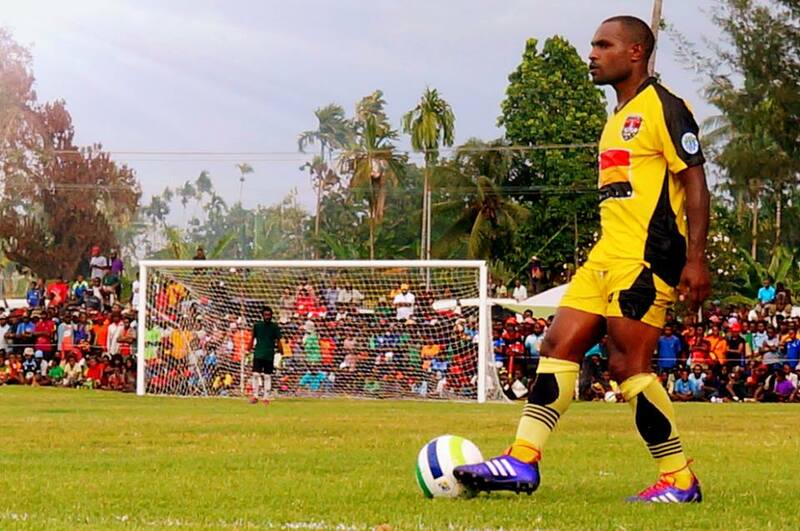 Busloads, truckloads and even a bicycle convoy attended the grand final from Madang as supporters flocked into the Morobean capital to witness the first ever Momase grand final for NSL. In two months’ time, the Madang flag will be flown across the Pacific as MFC will make their OFC Champions League debut under the pool vacated by Hekari United FC. While critics may spittle undermining words on the players, team and management on their eligibility and preparation, it’s high time to give international exposure on it’s pool of 100% local talents. Credits must also be given to the Hekari United franchise who have worked so hard and committed millions of kina into raising the standard of soccer in PNG, through the NSL and the OFC Champions league through to representing PNG and Oceania at World Club Championships. Truly, Hekari is our Champion, a team that has set the benchmark and deserve all the praise. Politicking within the administration of soccer in PNG cannot be left to pull the oxygen out of PNG soccer. We must work together to see our soccer talents are well and truly rewarded in their level of competition. All in all, Madang FC can rekindle the sleeping town of Madang which is marred by petty criminals, lawlessness and deteriorating road infrastructures. Lets keep back some pride into the hearts and minds of Madang residents, give them hope that Madang can rise up from sick bed with the support of it’s people to see true developments happen within the mindsets of our people. For the love of soccer and for the love of beautiful Madang, let’s take back Madang for the future of our children.